Thursday, September 14, 2017. In an effort to improve the internationalization of MIP UMY. MIP held student mobility at Khon Kaen University, Thailand, where this student mobility is participated by 12 MIP students and 2 lecturers. One of the programs in this student mobility, MIP students were given the opportunity to attend a seminar on Thai Culture and Society by Assoc. Prof. Somsak Srisontisuk, PhD. In this seminar, MIP students discussed about social and cultural condition of society in Thailand. 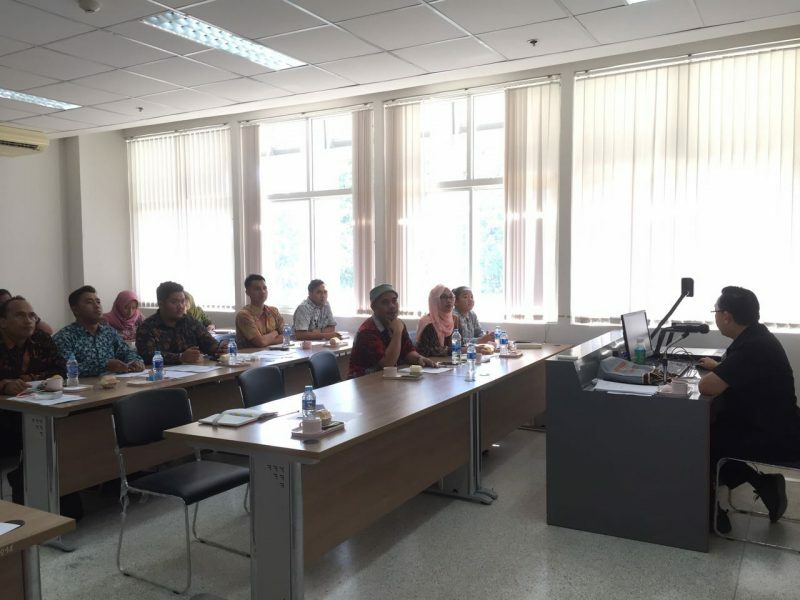 In addition, in this seminar MIP students were not only able to discuss and listen, but they were also giving their views and opinions on cultural issues that are existing in Thailand and had compared it with the issues that are existing in Indonesia. Therefore, this student mobility is expected to increase MIP student’s knowledge on international issues and increase student capacity in research implementation.